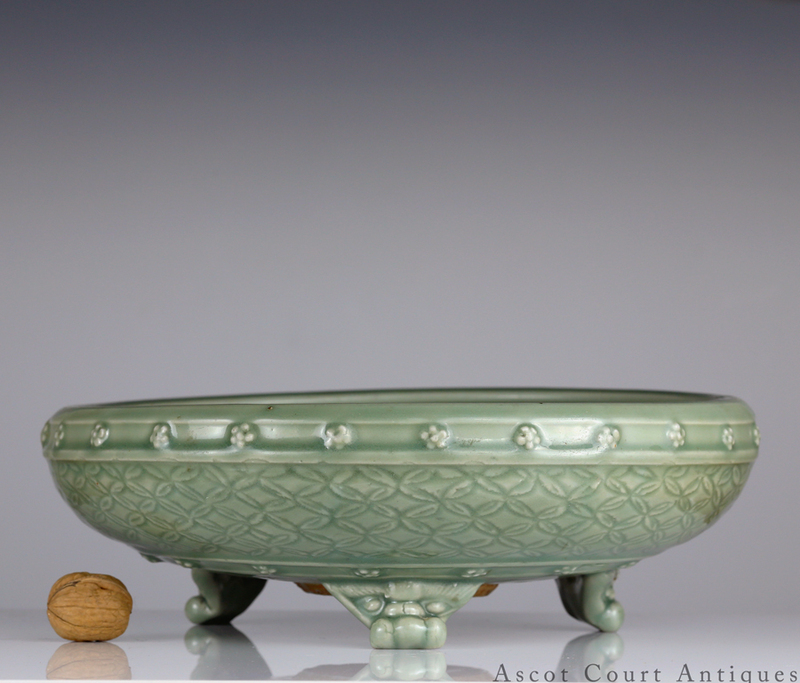 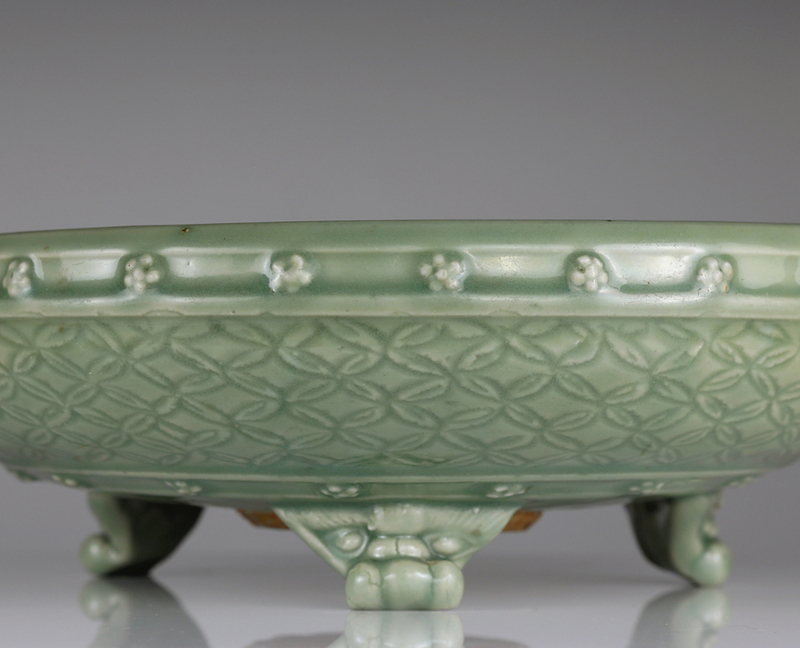 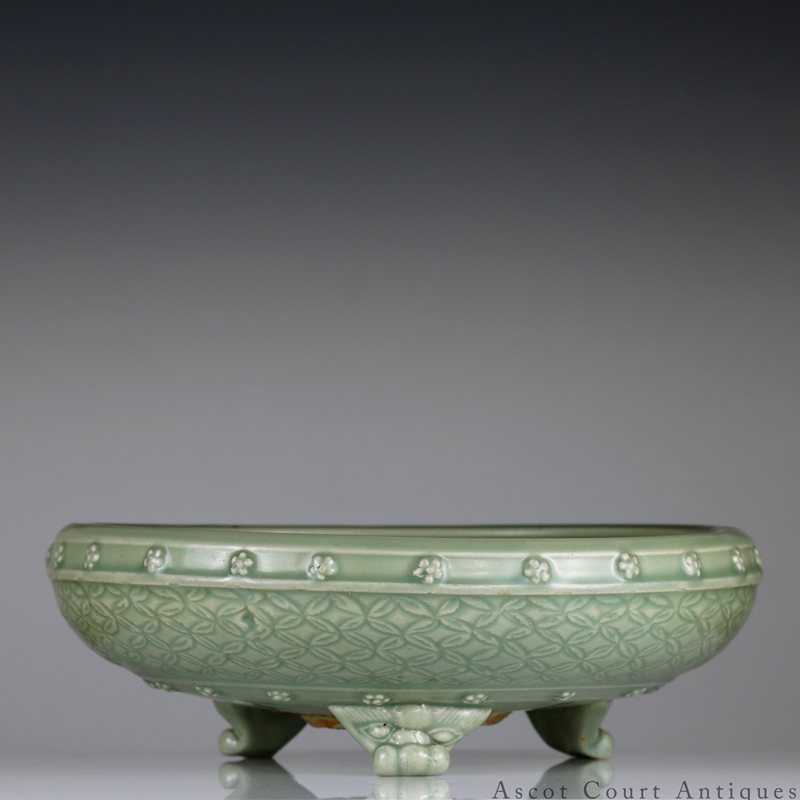 A magnificent and beautifully preserved Yuan longquan celadon tripod censer or narcissus bowl, heavily potted and extravagantly decorated in the Yuan fashion, featuring a shallow spheroid body supported by feet molded with taotie masks. 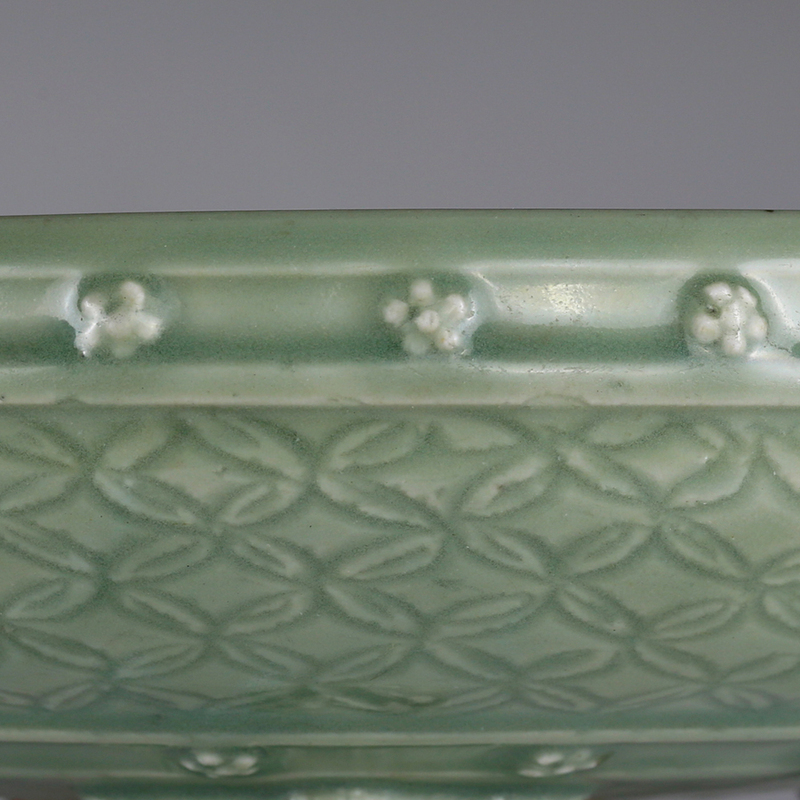 The bowl surface is profusely ornamented with an incised floral trellis ground framed by two bands of applique prunus blossoms. 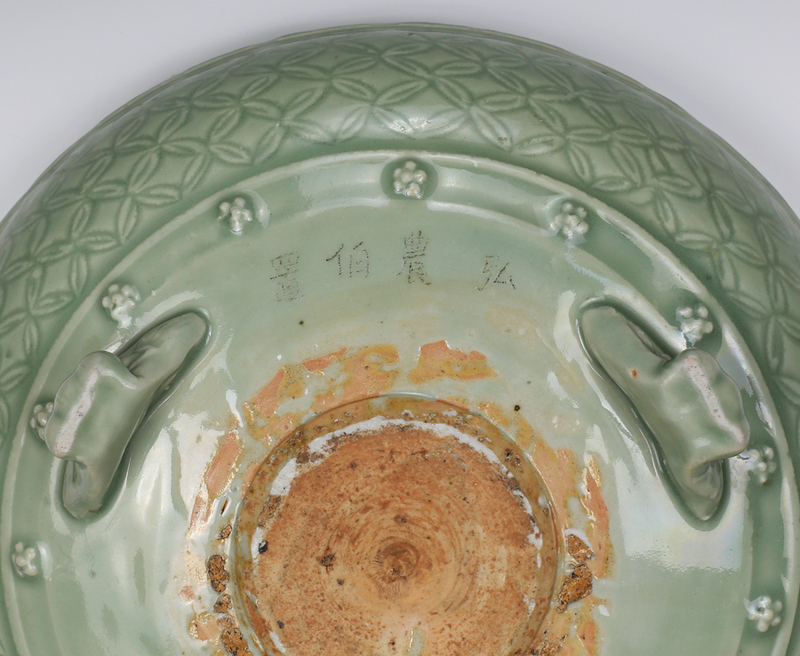 The reverse is marked with “Hong Nongbo zhi” (commissioned/ dedicated by Hong Nongbo). 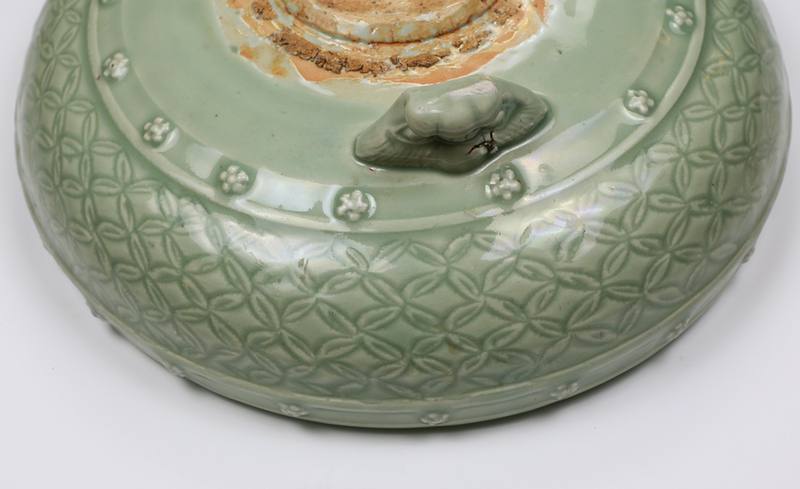 Vessels framed by two bands of applique beads or blossoms were popular during the Song – Yuan dynasty. 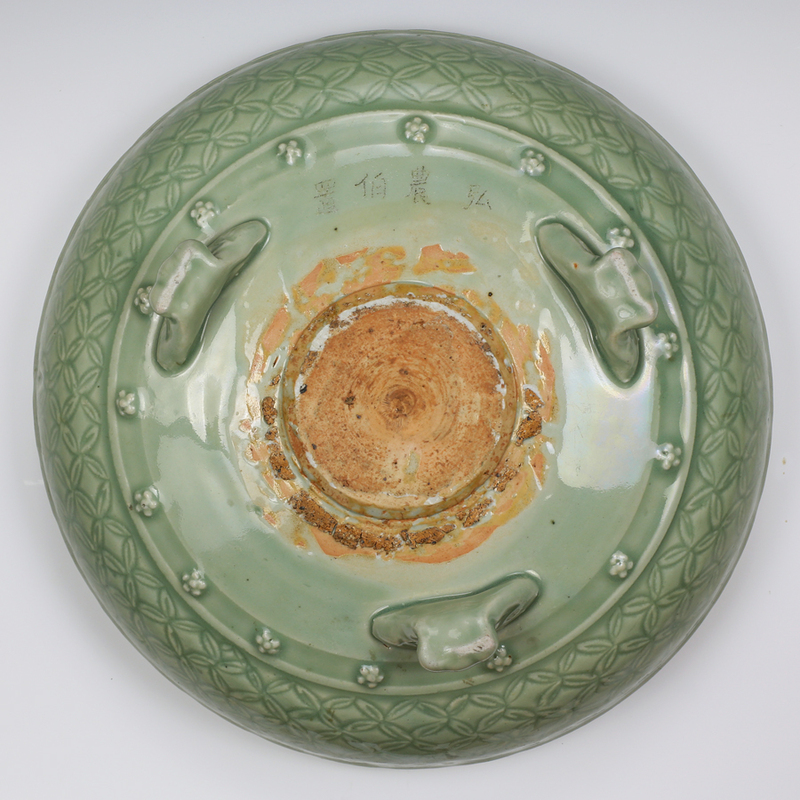 The raised decorative bands were designed to suggest the upper and lower rows of nail bosses found on Chinese drums. 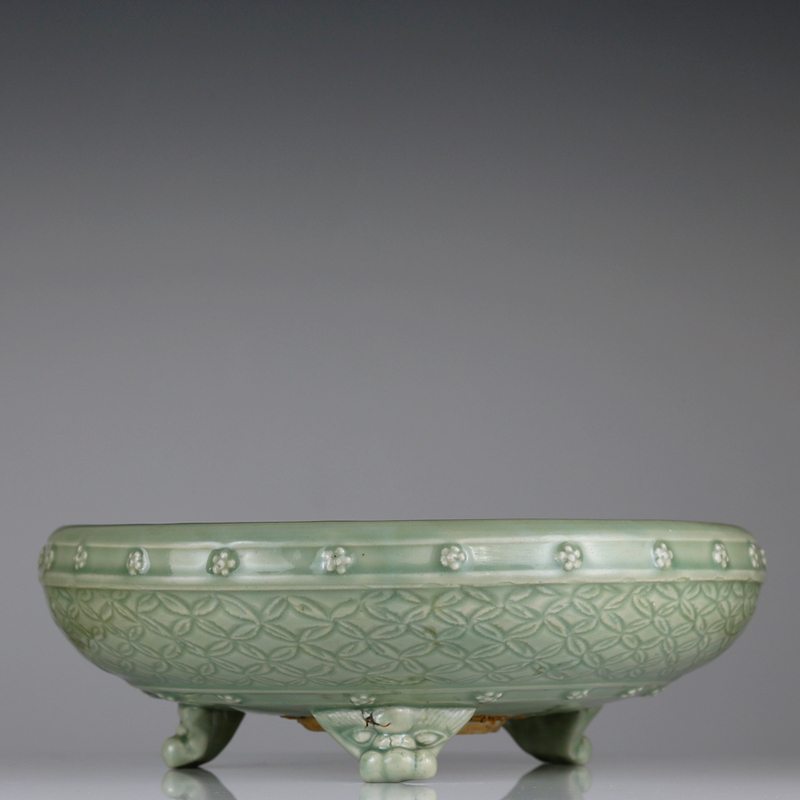 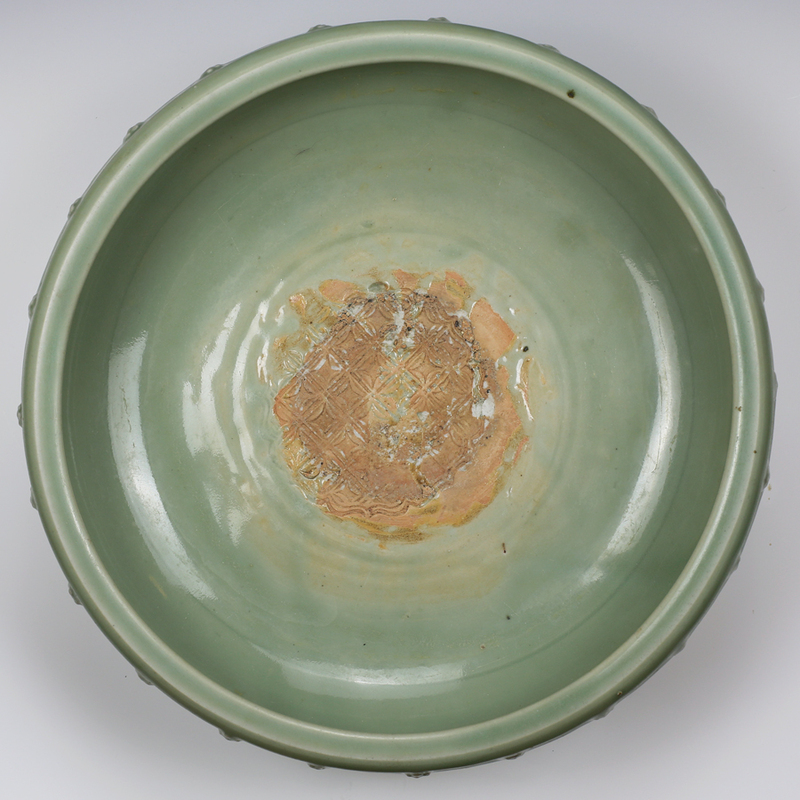 While western auction houses often catalogue Longquan celadon tripod vessels as censers, this particular vessel closely mirrors Junyao prototypes recorded and illustrated as narcissus bowls. 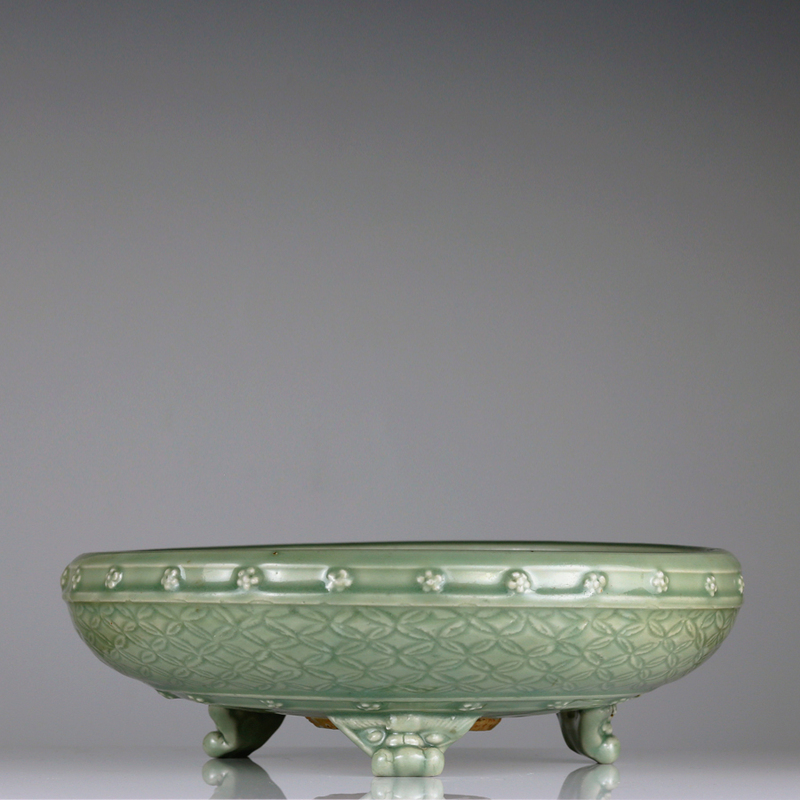 The shallowness of this vessel’s walls, although ideal for holding narcissus flower bulbs, would not have held incense well.